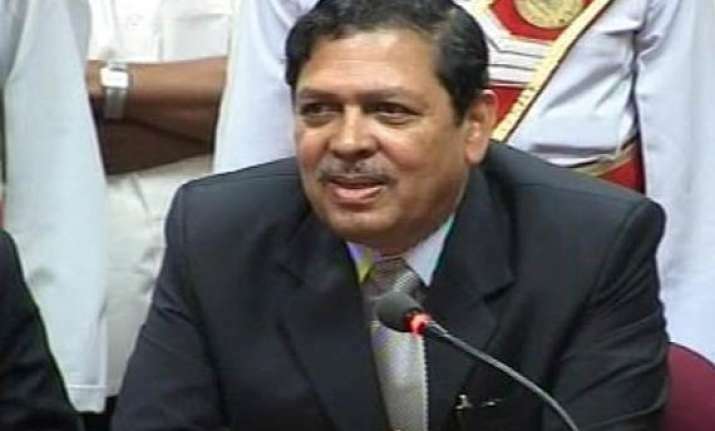 New Delhi, May 29: Fresh differences appeared in Team Anna with Justice Santosh Hegde today distancing himself from corruption allegations against Prime Minister Manmohan Singh and other ministers even as the group sought to play down Anna Hazare's reservations on the issue. Hegde said in Bangalore that he was not party to the decision to target Singh, Pranab Mukhrjee, S M Krishna and other ministers. Hazare himself appeared to distance himself from the move to target Singh and described the Prime Minister as an “honest man” soon after his team put Singh's name on a list of 14 “corrupt” ministers last Saturday. He had said that he will seek clarification from the team. “I am not party to the decision-making process. If I don't agree to a decision and if I don't express my view, then I am left presumed to be party to the decision,” Hegde said adding he does not know the content of the charges levelled against ministers. “If the contents are known to me and if the content indicates the involvement of the particular ministers and acceptable to me, then I will go with them. But since I do not know, I am not compelled to put my tongue and chin into it. “...I do not have the material that they had sent to the Prime Minister seeking investigations. I said I do not have to do anything with those allegations,” he said. However, he added that he was not walking out of Team Anna. “If they want me to go out of Anna's team, then it is another matter,” Hegde, who had earlier opposed Team Anna's anti-Congress campaign during Hisar bypolls, said. To questions on Hazare's views on Singh, Bhushan said most of the documents are in English and Hazare cannot read the language. “So these large number of documents have to be translated into Hindi to enable him to go through it. It is not possible to translate all these documents that fast so that he can read it. He knew the larger points like which minister has what charges against him and all. “But on the Prime Minister, he did not know the whole matter. But he has full faith in us that we are doing the right thing, that the panel has vetted it,” Bhushan told reporters here. With Team Anna appearing to be in disarray, Law Minister Salman Khurshid took potshots at them saying there was a need to save Hazare from his group of anti-graft activists. “There is a need to save Anna Hazare from these people as much as there is a need to save the country from corruption,” Khurshid told reporters when asked to comment on fresh allegations of corruption made by Team Anna member Arvind Kejriwal against a minister. Kejriwal said Hazare knows about all the issues and if he wants to see the documents regarding the PM, they will show it to him when he comes to Delhi. “When he came to Delhi for the March 25 protest, he was briefed about the charges against each and every minister. We wrote letters to ministers regarding the allegations after the instruction from Anna,” Kejriwal said. Kejriwal said they all speak to Hazare and even today, he spoke to him and briefed him about the fresh allegations they were going to raise against Krishna. Hegde said he had not received any documents on the charges against the ministers. “I have not met them and not discussed the matter one on one. Therefore, even today I do not know what are the materials against any one of the ministers,” he said. Levelling fresh allegations against Krishna, Bhushan and Kejriwal said that Hegde, the then Karnataka Lokayukta did not get hold of some files and could not frame the then Karnataka Chief Minister. To this, Hegde said he did not have these files and it was mentioned in the report which he submitted. “I could not find anything against Krishna,” he said.